The iPod Video (or 5th Gen iPod) is Apple's first iPod with video playback capabilities. Unfortunately, the iPod Video is the trickiest Apple MP3 player to diagnose when trouble arises. Use our iPod Video troubleshooting guide to figure out what ails it. Determined what is wrong? 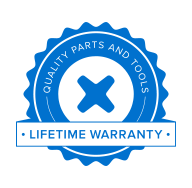 We carry parts to fix it, whether display, logic board, or anything else! We also offer free repair guides to allow you to resuscitate your device!